Matthew and David Stinson are the owners and operators of Stinson Brothers Since 2006. 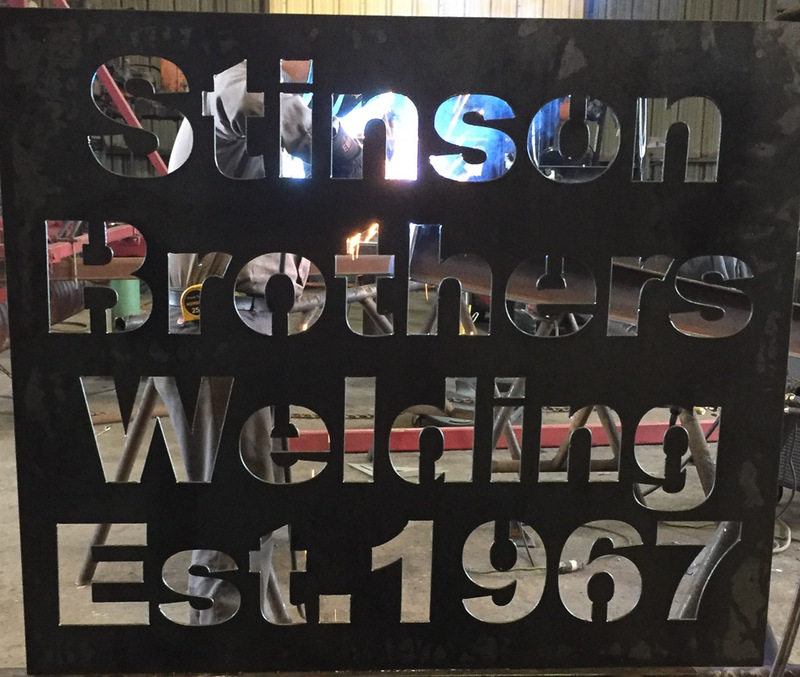 Dan and Gene Stinson began their partnership in 1967, when they rented a building and welding equipment from local welder Red Schuster. They operated the business as Red's Welding until 1971, when they moved to their present location on South Green Street and changed the name to Stinson Brothers Welding Service, Inc. Since that time, the business has grown and prospered. Gene's sons Matt and David grew up liking this work and fit in perfectly. They are now chief officers of the company, allowing Dan and Gene to retire and work in the shop part time. Matt and David continue to follow the example set by the original Stinson Brothers, offering excellent work and quality service to their customers. Stinson Brothers serves customers in all industry, agriculture and the general public. --------------------------------------------- The image to the right shows one of the many jobs we can do with the new Lincoln Electric Torchmate 4800 CNC Plazma cutting table. We are learning more and more ways to use it, and it is proving to be very efficient. There is more information on the Services tab.